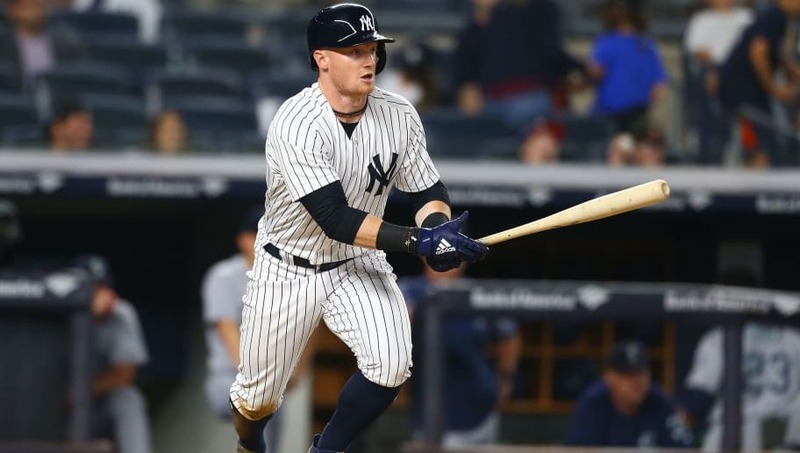 ​The ​Yankees beating down the White Sox wasn't the only entertaining moment for the franchise last night, as Clint Frazier gave us the ultimate mic drop right around midnight. It's been a nightmare season for the talented outfielder, as he's been sidelined for an extended period dealing with concussion symptoms. Usually, injuries to the head are treated with extreme care given the severe ramifications that could result from not healing correctly. Well, Yankees play-by-play man and sports talk host ​Michael Kay felt it was appropriate to say "Shame on Clint Frazier for not getting healthy" during a recent edition of his radio show. Well, Frazier hasn't made an impact on the diamond lately, but he nailed this comment out of the park, calling out the Bombers broadcaster on Twitter in no uncertain terms. ​​Boom. Not hard to side with Red Thunder in this situation. Kay's comments never should've been made, and is most likely regretting them. Regardless, it's an awkward situation to have for a team that doesn't need any additional distractions as they fight to stay in the hunt for the AL East. ​​It's safe to assume that it'll be quite the showdown if Kay and Frazier cross paths in the immediate future. May as well bury the hatchet as quickly as you can, Michael.